Edinburgh hoodoo masters Black Cat Bone are excited to announce they are coming to play a gig in the coolest village in Dumfries and Galloway, Kirkpatrick Durham, near Castle Douglas on April the 6th. The gig will be their first after their single launch party in Edinburgh’s Voodoo Rooms on the 5th of April after they launch their brand new single on the 4th April. 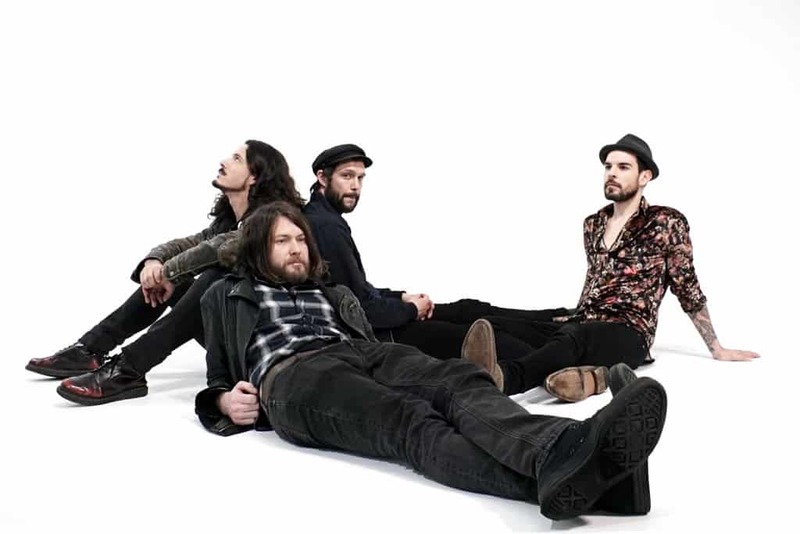 Fusing a soulful blend of blues with an edgy desert rock groove, the new track ‘Coming For You’ is going to delight existing fans as well as being a great introduction for those flirting with real raucous rock! 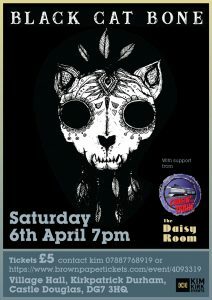 Black Cat Bone will be supported by local bands ‘Chasin the Train‘ and ‘The Daisy Room‘. The Night will start at 7.00pm and Tickets are £5 and can be purchased online by Clicking HERE . You can also call Kim Kirk events for tickets on 07887768919. Kim Said “There will be tickets on the door and we have also arranged return travel from DUMFRIES and Castle Douglas – £6 return Dumfries – £3.50 return Castle Douglas, Phone Kim for more details. Chasin the Train are a 5 piece rock/blues band from Dumfries, Scotland playing “Blues with Cojones” delicious harmonica, raw powerful vocals, supercharged guitar and a rock solid rhythm section.